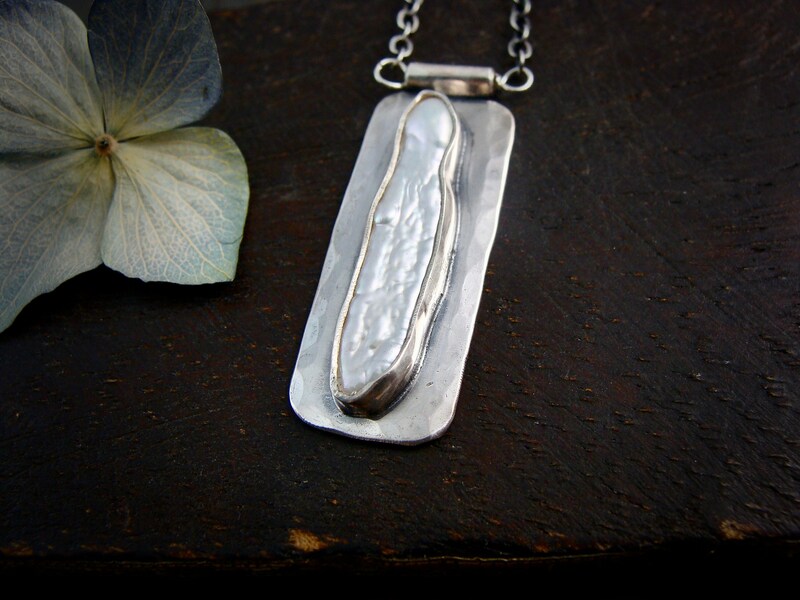 This delicate organic biwa pearl has been captured in sterling silver. 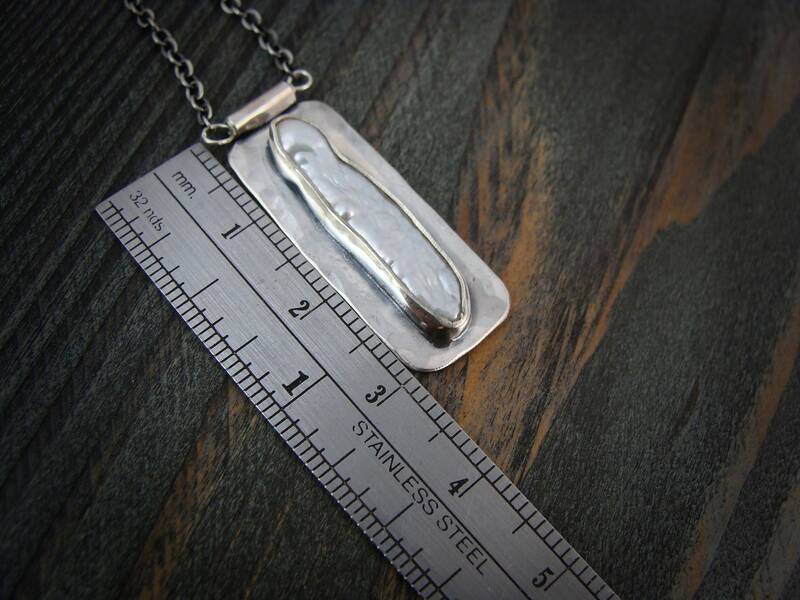 The silver has been hammered along the edges to catch the light and add to the natural look of the piece. 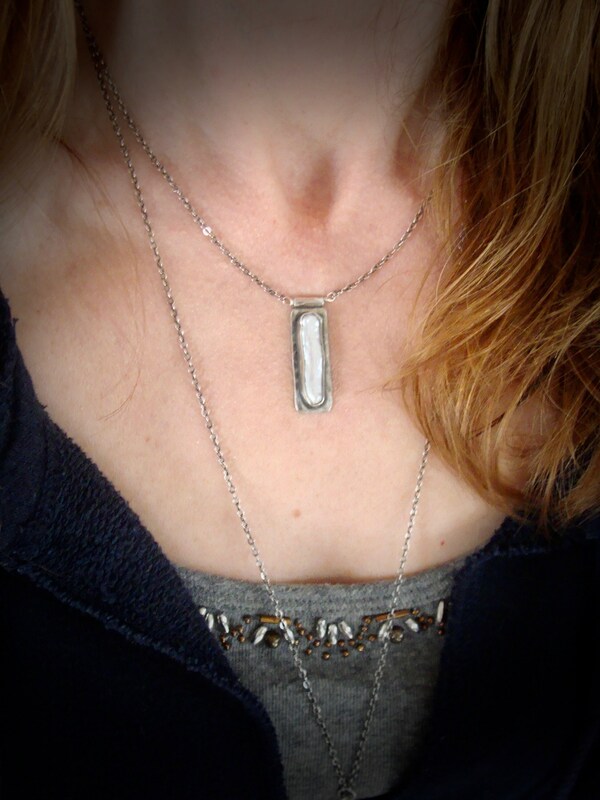 The silver has been oxidized to give add contrast and give that time worn look. 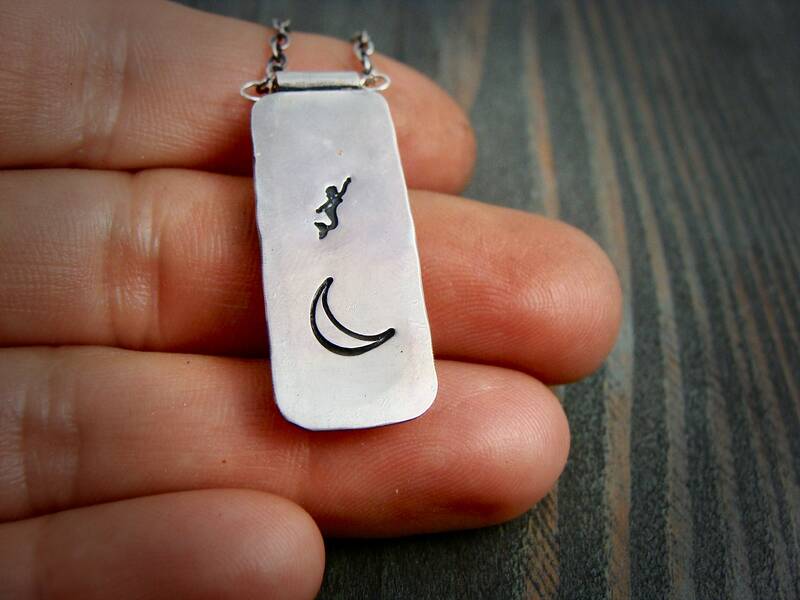 The back side of the pendant has been hand stamped with one of my tiny sirens. 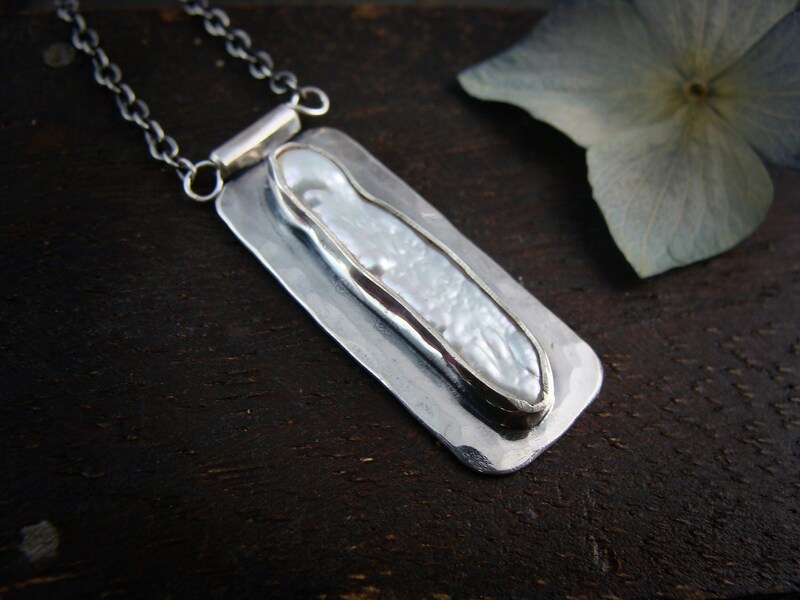 Each pendant is made by hand, expect slight variation in pearl shape. 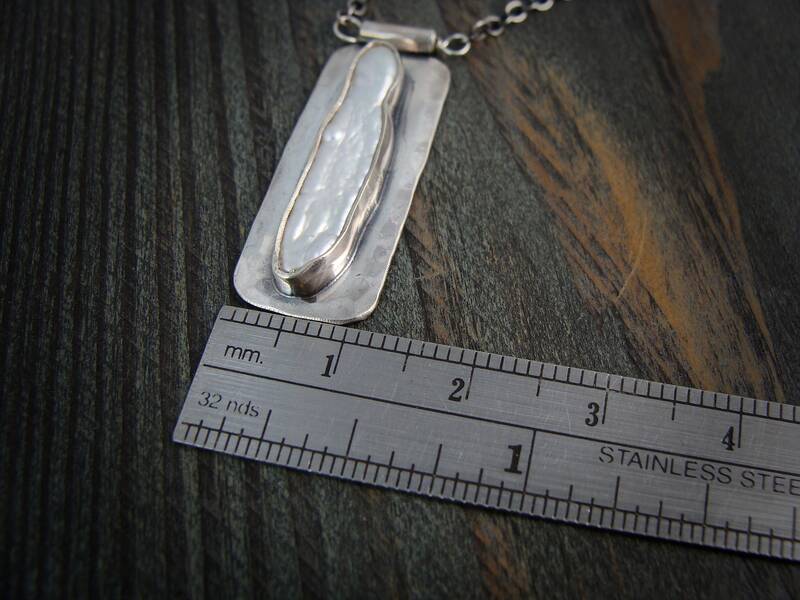 Size ~ 1 1/4 x 1/2"
Modeled on a 16" chain. This necklace is stunning! I've only taken it off to shower and go to the gym. Otherwise it's around my neck gathering compliments. As always Melissa's jewelry is excellently made and even prettier than in the photos.My beautiful new necklace arrived earlier than estimated and was very nicely packed. Thank you once again!